The Great Depression brought hard times to the Intermountain West but also provided an opportunity for Native Americans to change the existing state of affairs. 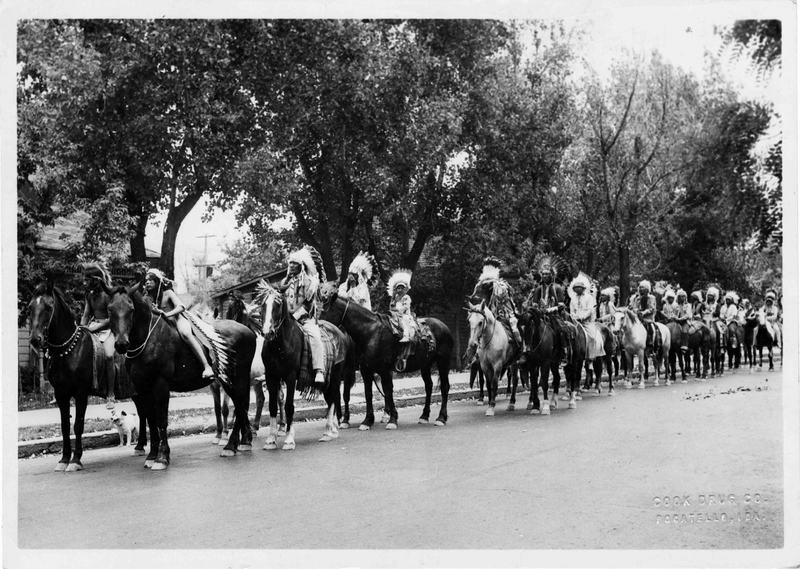 An “Indian New Deal” brought the Shoshone-Bannock together and gave the opportunity for the establishment of an intertribal constitution on Fort Hall. Two thousand miles away from the rich farmland and pastures of the Fort Hall Indian Reservation, the future of America’s native peoples was decided by politicians and sociologists in Washington, D.C. The new Commissioner of the Bureau of Indian Affairs, John Collier, hoped to implement policies that would strengthen tribal cultures rather than destroy them. While President Franklin D. Roosevelt and Congress passed laws as part of the “New Deal,” Collier hoped for an “Indian New Deal” that would reverse the assault on Indian lands, rejuvenate tribal governments, preserve native languages, and revive tribal customs. For the Shoshone-Bannock, these new policies meant a fundamental transformation of their whole reservation system. Although Fort Hall may have been one of the more prosperous reservations in the United States, too many of its residents lived in or near poverty. Tribal leader John Ballard lamented, “The things that [the government has] promised me in the past have not been fulfilled . 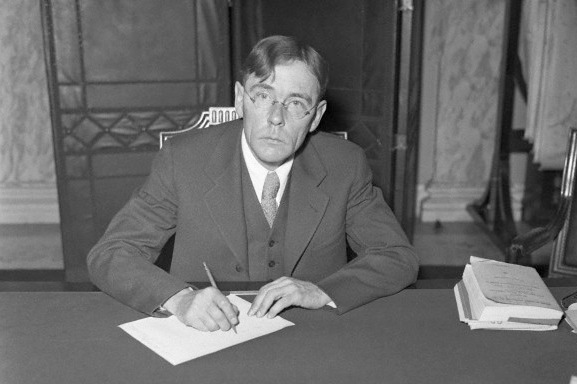 . . [We] have been placed in a condition that is poor.” To combat economic deprivation and provide Native Americans with more input into local decisions, John Collier spearheaded the effort to pass the 1934 Indian Reorganization Act (IRA). John Ballard agreed with Collier’s plan, as did eight of the other nine representatives from Fort Hall who met with government agents. Tribal leader Tom Cosgrove agreed, telling other Native Americans, “If we accept this bill we are going to help our Indians.” Although Congress passed the IRA in June 1934, each tribe had to also separately approve the bill before adhering to its policies. When it came time for the Shoshone-Bannock to vote, 375 voted yes and only 31 voted no. The next great task for the Shoshone-Bannock was the implementation of the IRA. To do so, they needed to create a constitution that would satisfy Shoshone, Bannocks, ranchers, farmers, the federal government, the state government, and other factions on the reservation. On April 30, 1936, they finally succeeded in ratifying a constitution everyone could support. Although small disagreements continued to flare up after its ratification, the 1936 constitution held fast until today. Among other things, the constitution established laws for the reservation, set requirements for tribal membership, and established a reservation government called the Fort Hall Business Council. This marked a new chapter for the history of Fort Hall. Appointed Indian Affairs Commissioner: John Collier, Commissioner of the Bureau of Indian Affairs. Collier championed the “Indian New Deal,” which was met with both success and disappointment on reservations throughout the country. 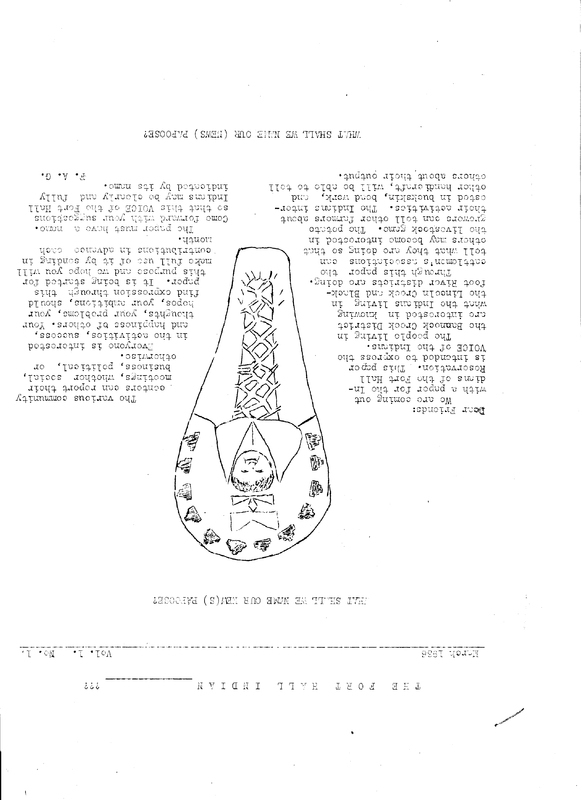 ~ Source: From the Library of Congress, “Appointed Indian Affairs Commissioner,” available at https://www.loc.gov/item/94505529/. Natalie Larsen, Brigham Young University, “The Indian New Deal and the Shoshone-Bannock Constitution,” Intermountain Histories, accessed April 19, 2019, https://www.intermountainhistories.org/items/show/204. Calloway, Collin G. First Peoples: A Documentary Survey of American Indian History. Boston, MA: Bedford/St. Martin’s, 2008. Heaton, John W. The Shoshone-Bannocks: Culture and Commerce at Fort Hall, 1870-1940. Lawrence, KA: University Press of Kansas, 2009. From the Library of Congress. “Constitution and Bylaws for the Shoshone-Bannock Tribes of the Fort Hall Reservation,” available at https://loc.gov/law/help/american-indian-consts/PDF/36026693.pdf. “Proceedings of the Conference at Chemawa, Oregon, March 8 and 9, to Discuss with the Indians the Howard-Wheeler Bill,” in The Indian Reorganization Act: Congresses and Bills, edited by Vine Deloria, Jr. Norman, OK: University of Oklahoma Press, 2002. Taylor, Graham D. The New Deal and American Indian Tribalism: The Administration of the Indian Reorganization Act, 1934-45. Lincoln, NE: University of Nebraska Press, 1980).